Bark in the Park made it to the Washington Post! 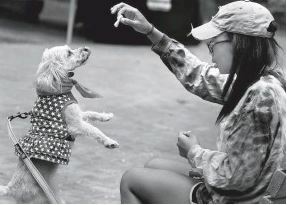 Bark in the Park this past weekend was a great success! A Parade around Vantage Point Park with all our furry patriotic friends and Fidos for Freedom providing a demonstration of service dog skills as well. On a day commemorating our nation’s independence, how appropriate to learn about an organization that helps people with disabilities maintain their independence. To top it all off, this event was even featured in the Washington Post!!!!! 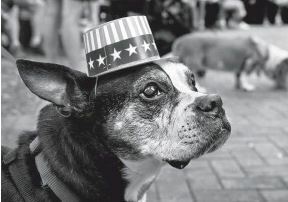 Wearing a Fourth-of-July-themed hat, Finney, a Boston terrier, waits for the start of the annual “Bark in the Park” dog show and Gabby Christopher, 16, offers a treat to her dog, Lou, also dressed in a patriotic outfit!